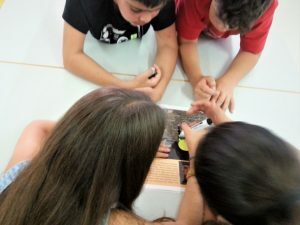 On the 1st of June 2017, on the occasion of the International Children’s Day, CARDET conducted a workshop under the title “Tell my Story” within the framework of the E-EVALINTO project. The main theme of the workshop was the lives of unaccompanied minors in the host countries. 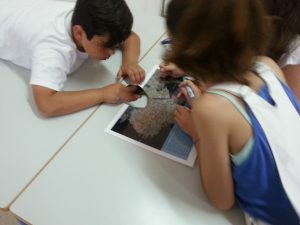 The workshop’s theme was developed around the real stories of three children from the moment they were forced to leave their country and their family until they arrived at reception centers in Athens (Greece). These stories wer e brought to light from the organization Médecins sans Frontières – Doctors without Borders. 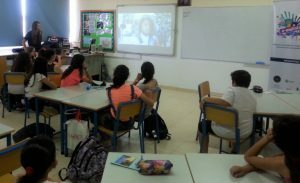 More specifically, three sixth grade classes at the Lakatamias E’ Elementary School in Nicosia had the opportunity to participate to the workshop. The workshop was experiential and the main purpose was to raise awareness and promote and understanding on the welfare, well-being and the rights of unaccompanied minors living in the host countries.